What your potential customers are doing? What products they love and how they use them? What are their un-served demands and unmet needs? What they don’t like and why do they turn to your competitors? How and what sort of problems you can solve for your customers? How your competitors are promoting and selling the same products/services like yours? As you get answers to these questions, you can quickly figure out your B2B maneuver in the target marketplace. It’s from where your brand marketing endeavor takes off. 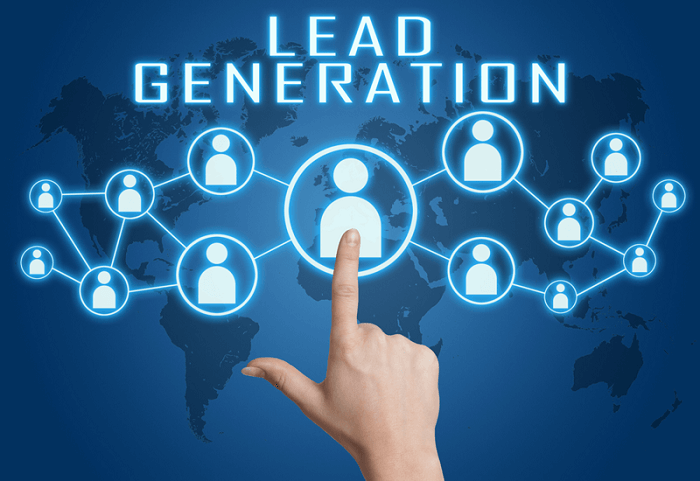 Next comes the leads generation planning; for which you can bring into play content marketing, social media marketing, search engine optimization, email marketing, mobile app development, custom software solutions, etc. The mobile apps have gained remarkable traction in the past couple of years for B2B leads generation. Mobile apps aid the businesses to reach prospective customers right where they are. If you are unsure how it will support you in leads generation, you can choose Mobile App Development Company that will build a custom application for your business prospects – offering them personalized B2B enterprise solutions. Concentrate on conducive areas to drive more leads and conversions. Leads acquisition and improved ROI is the bottom line for all types of businesses. What impacts this result is building a well-rounded and measurable marketing campaign after in-depth market analysis. When it comes to B2B companies, the stakes are quite high therefore it is necessary to map out a robust lead generation strategy based on audience behavior and demands. Optimize the sales funnel; plan out the path-to-action for prospective customers. It will help the marketers to set the marketing foundation right with the confidence of capturing a large percentage of B2B leads and converting them into sales from their campaigns. Once your sales funnel gets well-optimized and you are sure as fate that your website, landing pages or custom software are picture-perfect for marketing, it’s high time to capture organic traffic highly convertible to the loyal consumer base. For instance, custom software development is the smartest way to monetize your business idea for which you can bring a reliable firm to the table to meet your business needs. Set everything aside, decipher, first, which channels will work the best as identifiable lead generation platforms for your B2B business growth and development. The selection of B2B leads generation channels depends on your business type and audience behavior. Enlisted below are the most commonly used lead sources. The statistics show that SEO, email marketing, social networking and content marketing are the most popularly used lead generation channels. Now, as all of these are the most effective conduits to grab potential leads, needless to say, that B2B marketers will achieve the set goals by not only choosing the right channel but also how they use it. What’s the most critical factor here? The audience biases and preferences for different marketing platforms. Twitter, for example, can close a billion-dollar deal for a B2B business or it can tarnish your brand – depending on consumer psychology. Moreover, the execution of your marketing campaigns on carefully chosen lead gen channels plays a significant role in producing impressive results. Here are some striking lead gen strategies that are going to work really ‘well’ as they help reduce the acquisition costs and result in improved ROI. Analyze your data as a lead scoring technique. Determine the leads origin, which channel they are coming through and which holds onto the potential of converting into sales. It’s an open fact that numbers and metrics don’t lie. Use them to analyze the behavioral changes in your potential customers. Adjust the drip strategies based on changed buying personas of your target audience. Google Analytics is the best resource for data collection and analysis. Depending on your budget, you can purchase a CRM tool as a good fit for your B2B business needs. Engage your sales team in profiling your target consumers. Create the most effective buyer personas; based on the challenges, goals, pain points and purchasing behavior of your target audience. Combine your search engine optimization efforts with email and content marketing and social networking endeavor. Keep attending offline events to gain the trust of the target market and build strong customer relationships. Hunt for new customers and retarget to retain the old ones. All in all, integrate your marketing campaigns across multiple B2B lead generation channels after experimenting with different strategies. Whatever unified strategy you develop for lead scoring, be visible and always keep up with the trends to show people your brand’s reliability and sustainability. How to Build an Effective Social Media Marketing Plan?